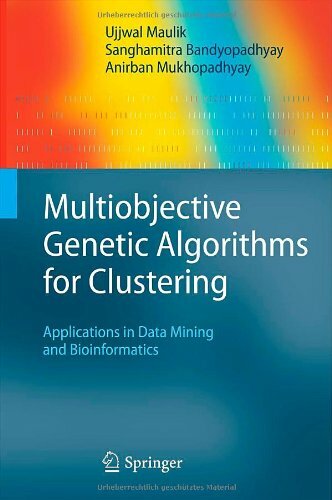 This is the first book primarily dedicated to clustering using multiobjective genetic algorithms with extensive real-life applications in data mining and bioinformatics. The authors first offer detailed introductions to the relevant techniques – genetic algorithms, multiobjective optimization, soft computing, data mining and bioinformatics. They then demonstrate systematic applications of these techniques to real-world problems in the areas of data mining, bioinformatics and geoscience. The authors offer detailed theoretical and statistical notes, guides to future research, and chapter summaries. The book can be used as a textbook and as a reference book by graduate students and academic and industrial researchers in the areas of soft computing, data mining, bioinformatics and geoscience.